In May-June 1986, the ESQ Merchants, carrying the name Pasig Giants, won the ABC Intercity tournament in Jakarta, Indonesia. Under coach Nat Canson, the team missed the services of top gunner Allan Caidic, who was a member of the national team preparing for the Asian Games that year. Among the members of ESQ-Pasig were Jojo Martin, adjudged MVP of the tournament, Hernani Demigillo, Edgar Macaraya and Jerome Cueto. 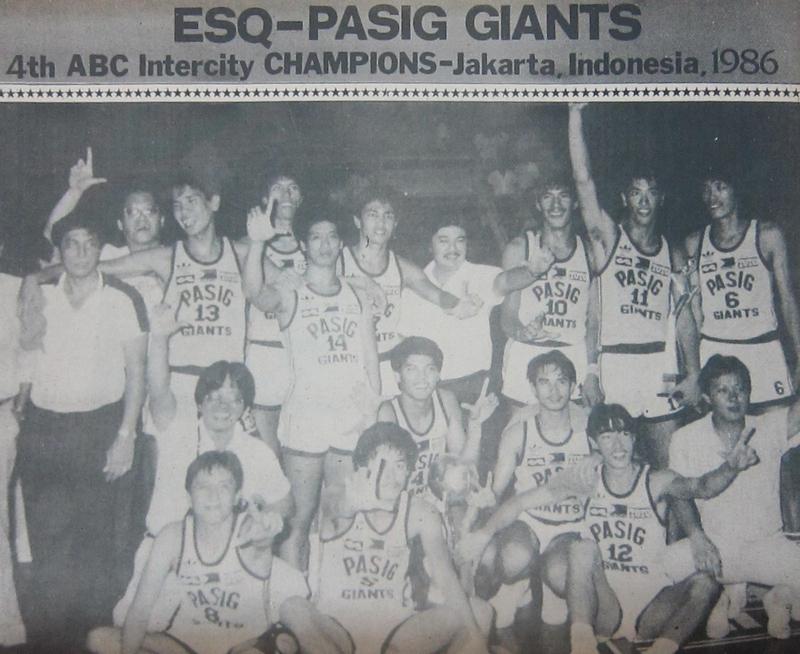 One can notice the "L" sign on the players that seem to suggest the EDSA People Power fever. 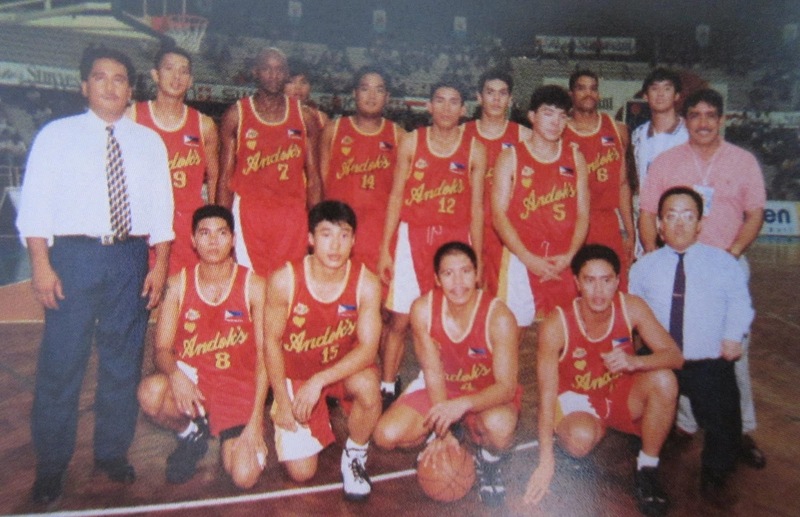 A decade later in September 1995, a PBL selection sponsored by Andok's and reinforced by Bobby Parks and former Ginebra import Alex Coles, won the 6th ABC Champions Cup in Kuala Lumpur, Malaysia, defeating Petronas of Malaysia in the finale. Upload more photos from the 1990s like the PBL, UAAP and NCAA.